Need a more heavy duty clean-up option? 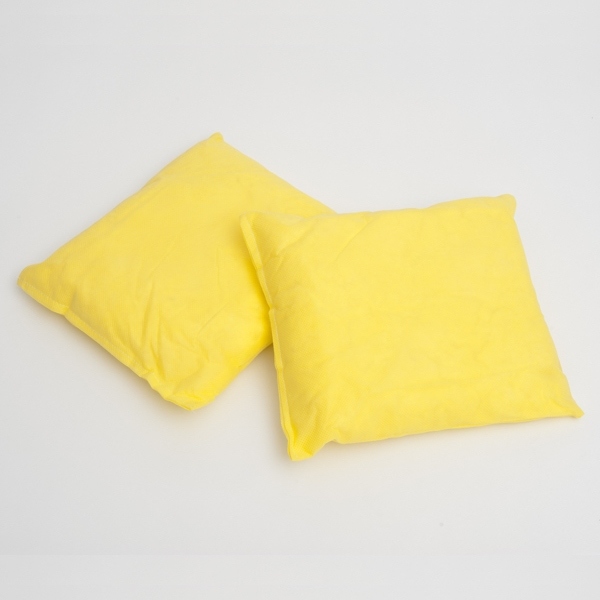 The Hazchem pillow is suitable for both spill containment and absorption, especially for ongoing spill-prone areas or leaks. Each sock is able to be left in a location to absorb and contain continuous hazardous leaks and spills, and is also available in an oil-only model. For use on all hard surfaces to contain and absorb both hazardous liquid spills. Can be used on most liquids, including glycols, mild acids and alkalis, but cannot be used on oxidisers. Commonly used in the automotive, industrial, commercial markets, warehousing, waste management and manufacturing industries. Highly absorbent — proven to pick up 19 times their own weight in oil and 9 times in water.